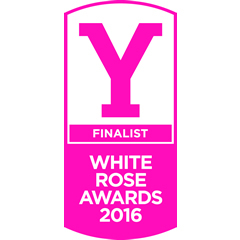 Elmet Farmhouse – a unique holiday cottage perched on the hill at Pecket Well, near Hebden Bridge – has been shortlisted for Welcome to Yorkshire’s prestigious 2016 White Rose Awards. 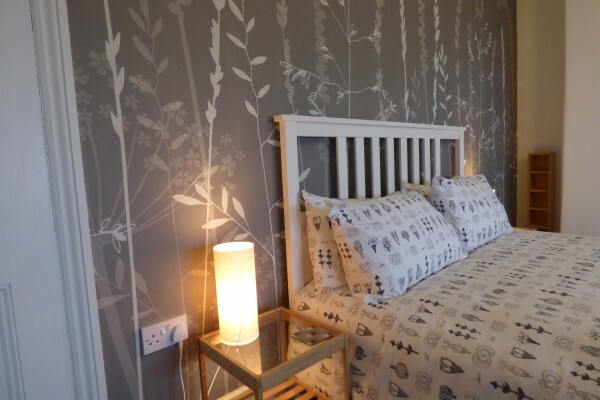 One of only 7 self-catering properties in Yorkshire to make it to the finals, Elmet Farmhouse – an 18th century farmhouse with bespoke interiors and spectacular views – beat strong opposition to make it onto the shortlist. 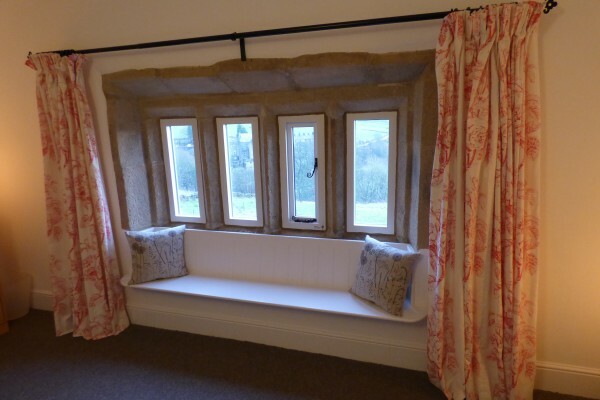 Newly-restored, this handsome Grade II Listed yeoman clothier’s house, with its beautiful stone mullion windows and quirky décor, has been attracting glowing reviews since its launch as a luxury holiday cottage 18 months ago. 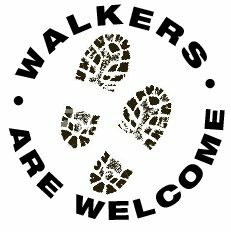 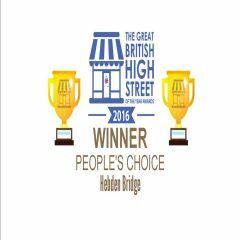 Two other Hebden Bridge organisations have also been shortlisted for the Awards: Hebden Bridge Arts Festival and Hebden Bridge Visitor Centre. 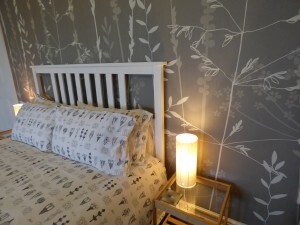 But Elmet Farmhouse is the only holiday cottage in Calderdale to make it to the finals in the self-catering section, a particularly hotly contested field given the wealth of competition in nearby Haworth and the Yorkshire Dales. 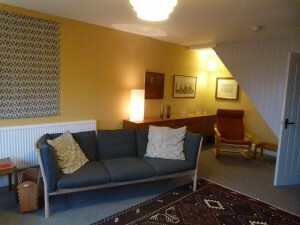 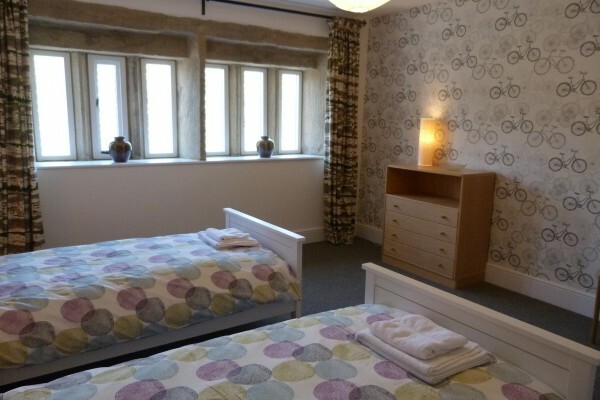 We’re thrilled to announce that Elmet Farmhouse has been featured in the Yorkshire Post. 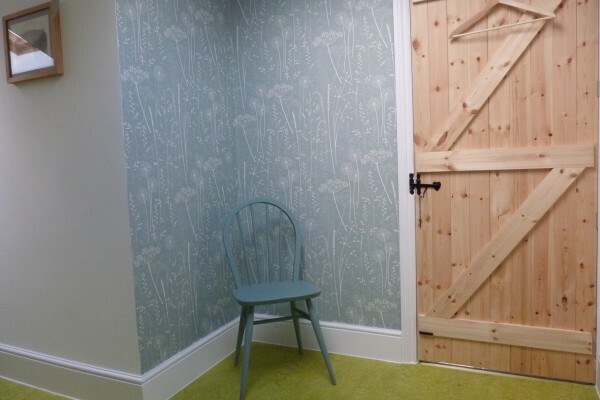 The 4-page article called ‘Wish you were here?’ was published in the Homes & Garden section of the magazine on Saturday 10 January 2015. 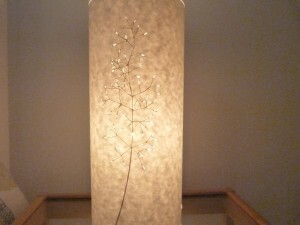 To read the article, please click here. 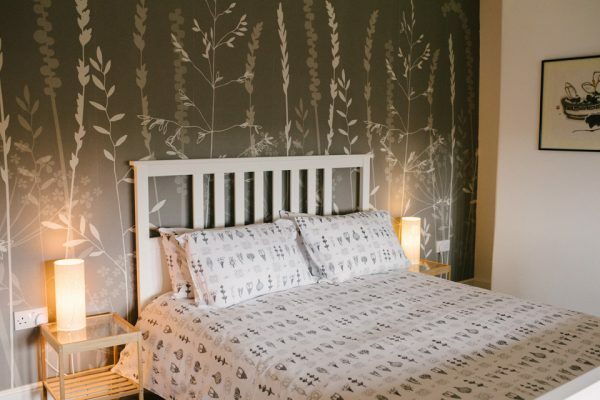 Described by Sharon Dale as ‘the perfect holiday let for design and literary enthusiasts’, Elmet Farmhouse is praised for its extraordinary views and its highly distinctive interiors. 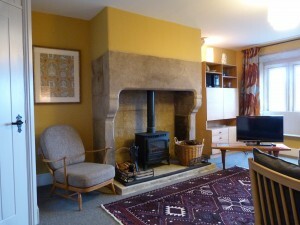 The article highlights the links with Ted Hughes’s book Remains of Elmet, which features an iconic photograph of Heptonstall by Fay Godwin on its cover. 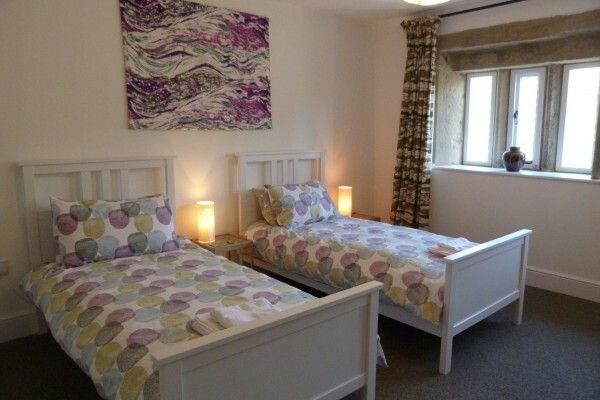 Described as the ‘view that made Ted Hughes wax lyrical’, the photograph is identical to the view from Elmet Farmhouse so it must have been taken from very nearby. 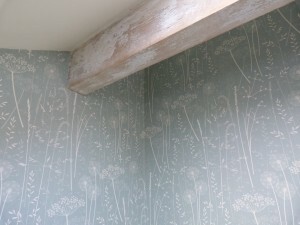 Hannah Nunn’s delicate Paper Meadow wallpaper has just been installed in the attic at Elmet. 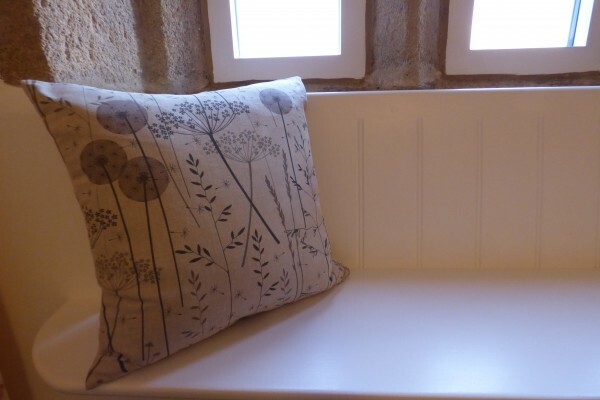 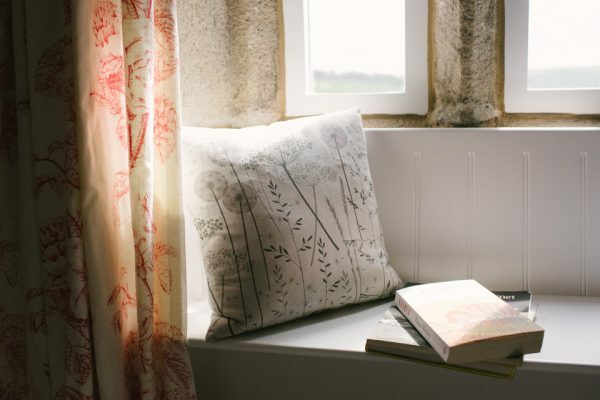 So although it may be midwinter outside, it’s perpetual summer indoors…. 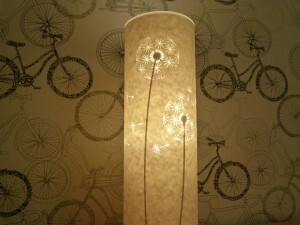 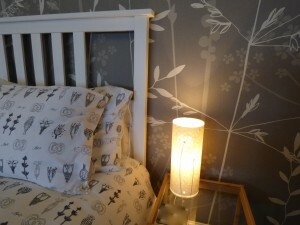 This beautiful wallpaper complements Hannah’s cut paper lamps, which are dotted all over the house. 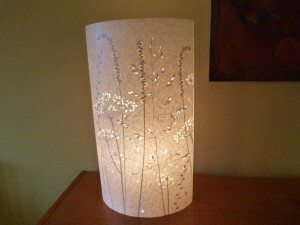 The same grasses and flowers appear in both – and in the fields outside. 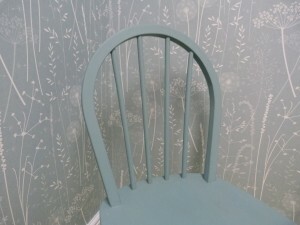 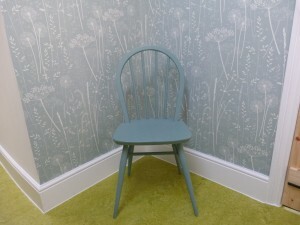 The soft chalky Teal colourway works really well with the Ercol chair, painted in Farrow and Ball’s Berrington Blue…. 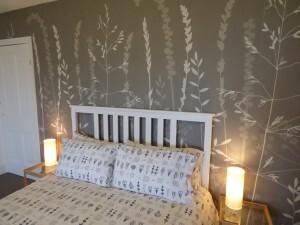 The wallpaper was installed by expert wallpaper hangers Daru and Stuart, who have done sterling work over the last few months in Elmet Farmhouse. 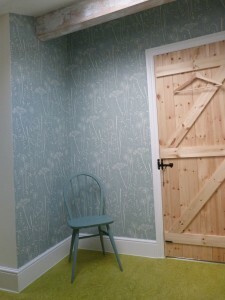 They had already papered three feature walls with a quirky bicycle-patterned wallpaper produced by Rasch, a nod to the 2014 Tour de France which came through the village of Pecket Well last July. 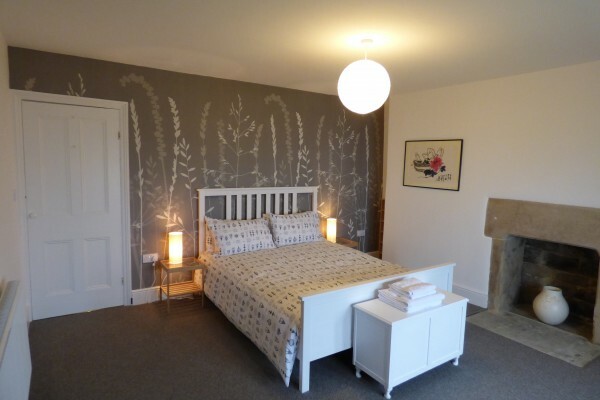 Hannah’s wallpaper has a much bigger repeat though, and fitting it under the sloping attic ceiling was the duo’s biggest challenge to date. 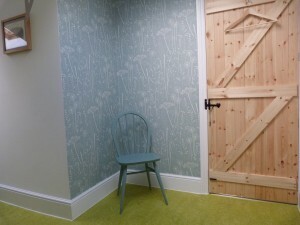 Daru and Stu were very complimentary about Paper Meadow: the high quality printing and paper are as classy as the design. 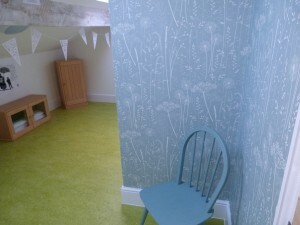 Come and enjoy Paper Meadow in the flesh at Elmet Farmhouse. 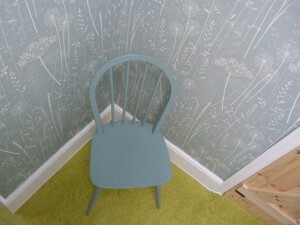 Or order it online via Hannah Nunn’s website. 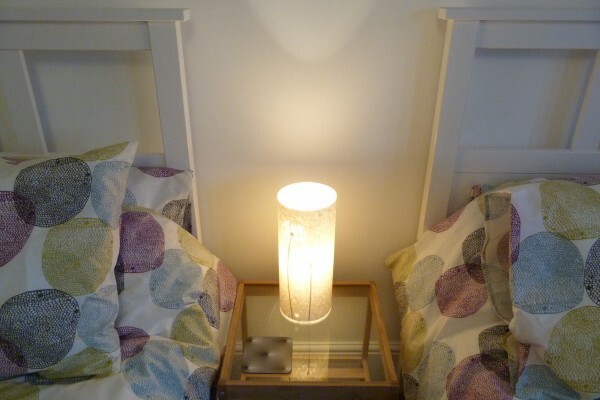 … Six months on and it’s now Midsummer. 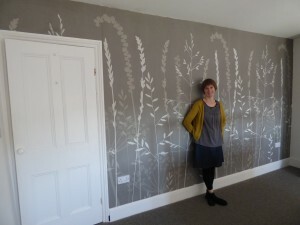 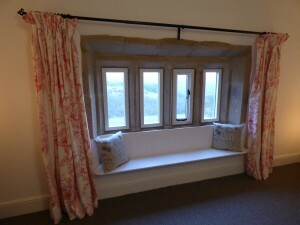 Read Hannah’s blog for 8 June 2015 about her visit to Elmet Farmhouse to photograph her wallpaper in situ. 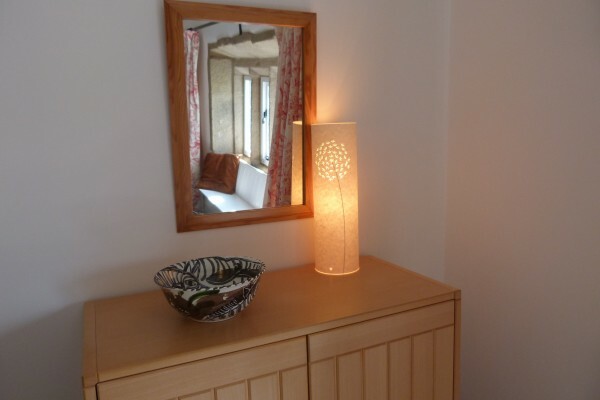 Newly restored Elmet Farmhouse was already looking rather lovely but it’s now even more stunning following the arrival of a host of Hannah Nunn’s beautiful flowery lamps. 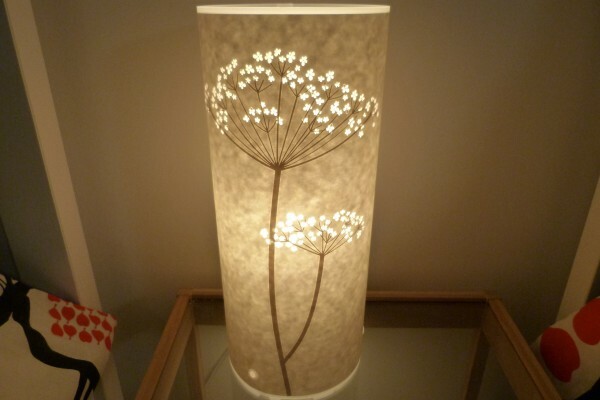 Hannah lives and works in Hebden Bridge where she makes exquisite hand-crafted cut paper lamps. 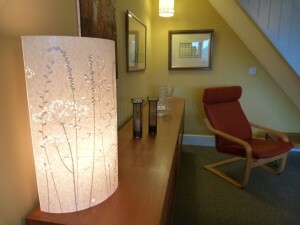 To find out more, visit Hannah’s website. 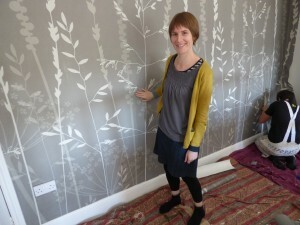 We’d admired Hannah’s work for many years so when we were putting the final touches to Elmet Farmhouse we invited her to visit. 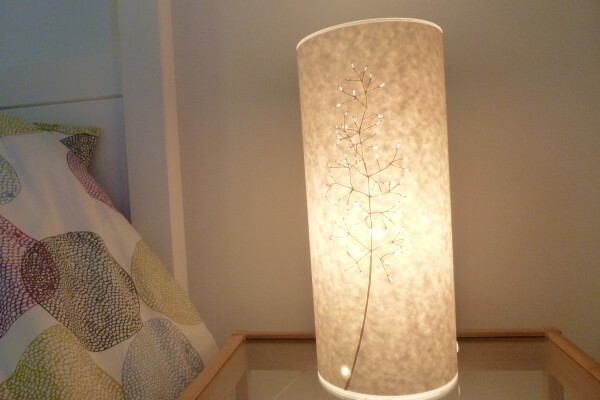 She responded with enthusiasm and before you could say ‘light bulb’ she was back with a box of treasures, which have now been installed all over the house. 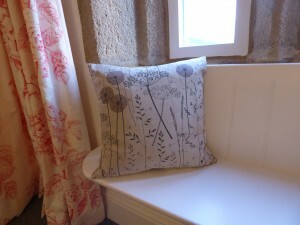 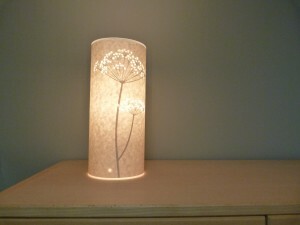 Hannah takes her inspiration from the natural world, particularly skeletal flowers, seed heads and grasses. 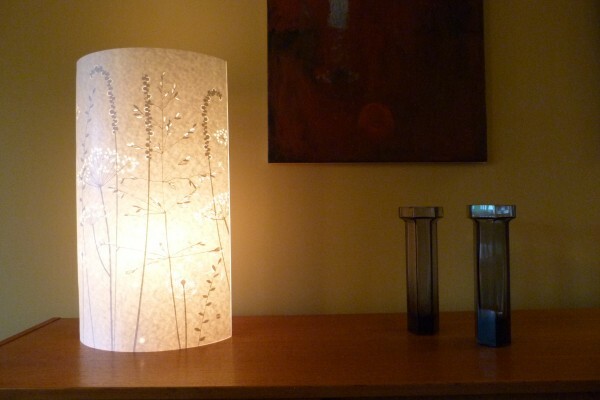 Each piece is a work of art but the one we’re particularly excited about is the large Paper Meadow Floor Lamp, specially created for the long low Swedish teak sideboard in the living room. 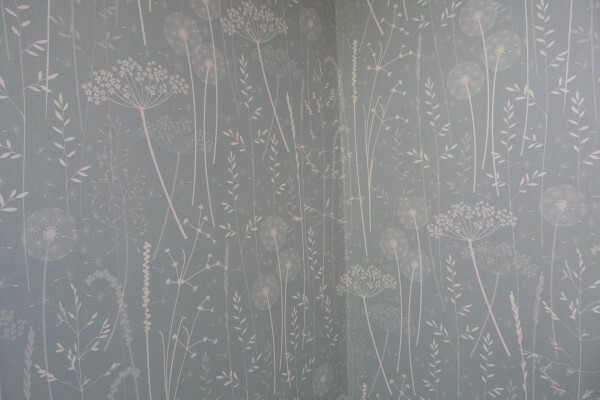 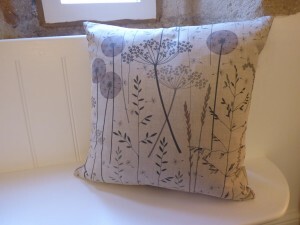 Most of Hannah’s designs focus on a single plant such as allium or cow parsley, but this piece overlays an array of imagery, bringing the garden and fields into the house. 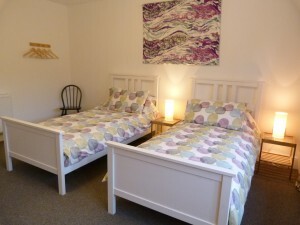 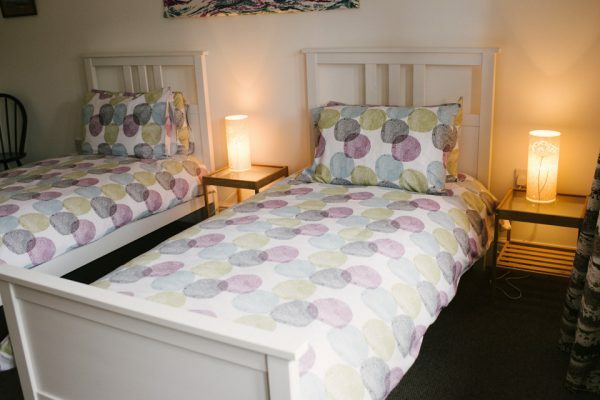 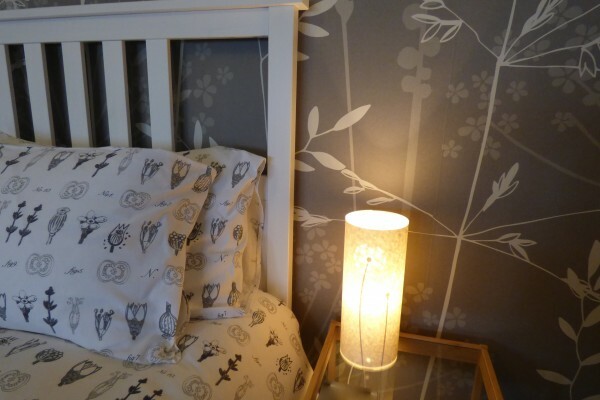 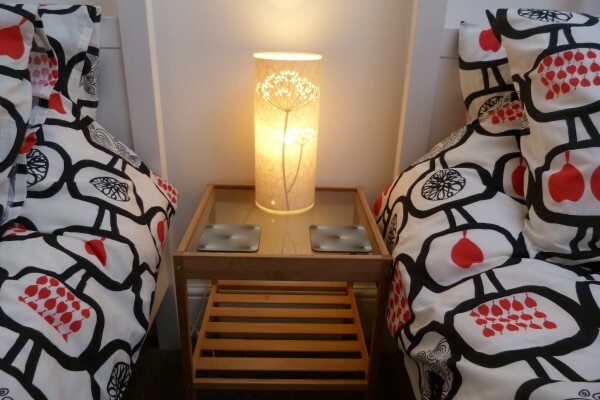 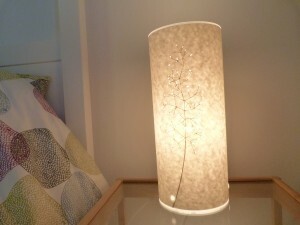 The soft ambient glow of Hannah’s lamps makes them particularly appropriate for bedrooms. 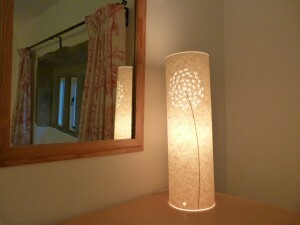 Each bed in the farmhouse is now illuminated by its own beautiful bedside lamp. 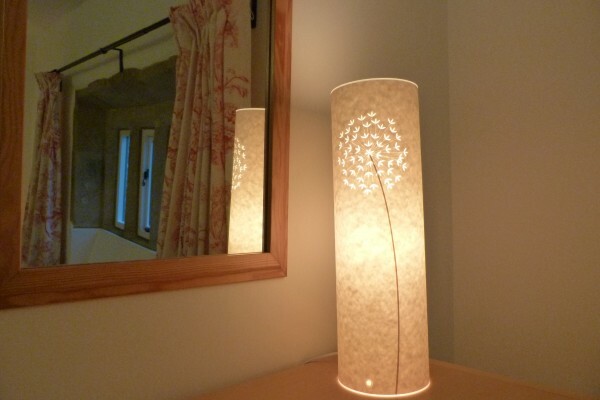 In the front bedroom – the one with the alluring white window seat and chintz curtains – an allium lamp is reflected in a mirror, multiplying the effect. 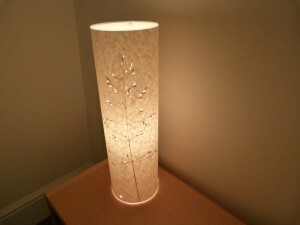 It’s particularly appropriate that Hannah’s lamps have been installed in the run up to the festive season. 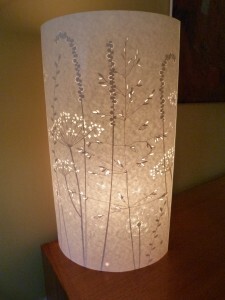 Although they evoke the lush meadows of summertime, there is something lantern-like and Christmassy about them as well. 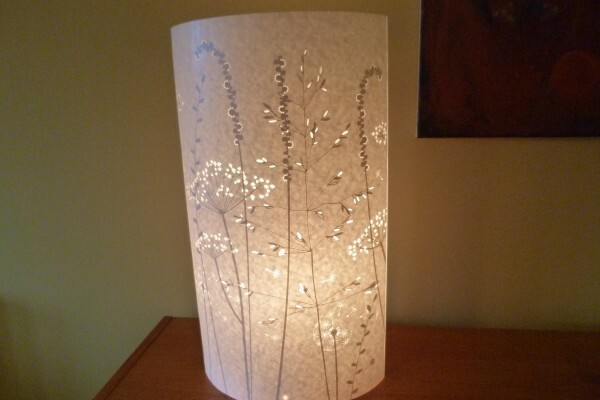 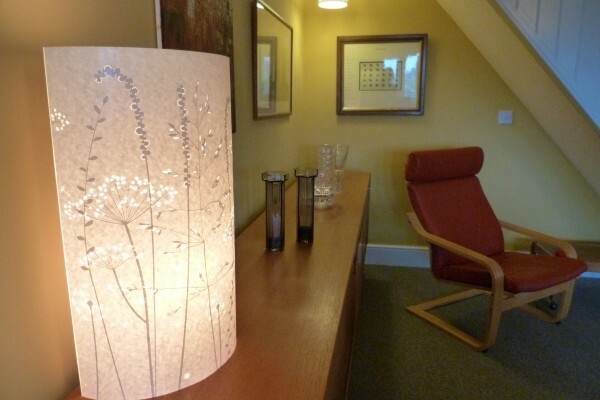 But, like Elmet Farmhouse, Hannah’s lamps are not just for Christmas, they’re an all-year-round delight…. 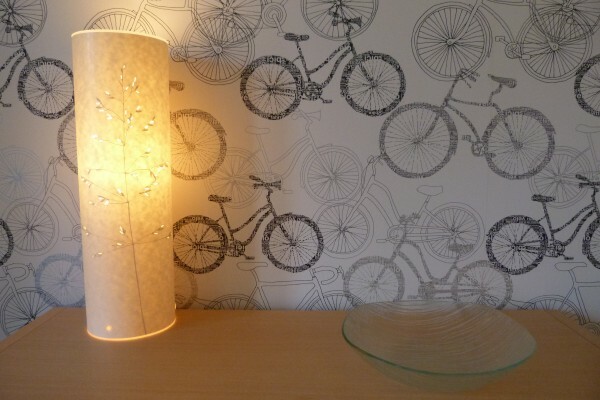 We’d like to thank Hannah for her inspiring contribution to Elmet. 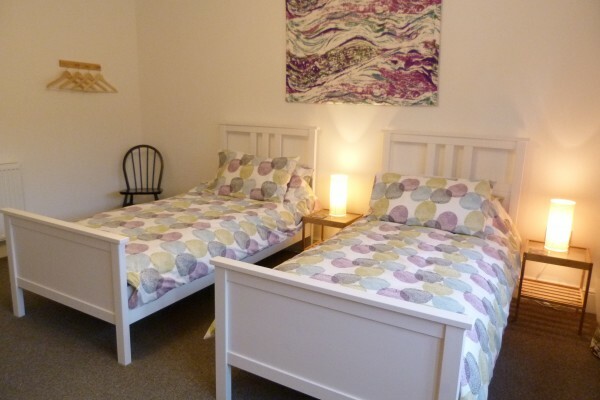 To learn more about Hannah’s visits to the farmhouse, read Hannah’s Blog for 28 October and 11 November 2014. 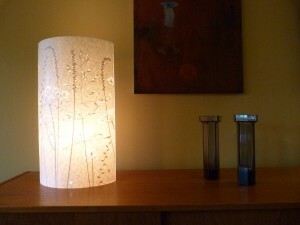 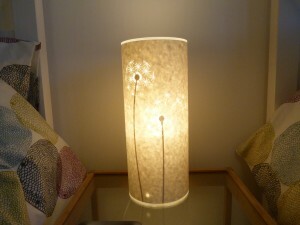 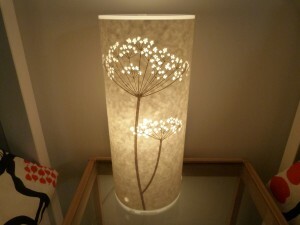 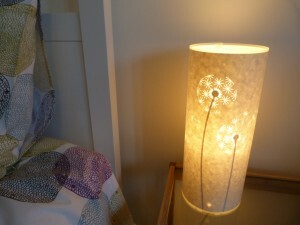 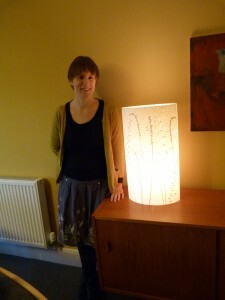 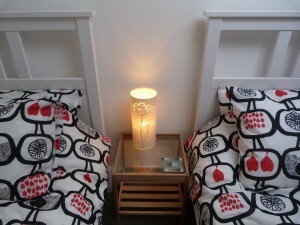 You can buy Hannah’s lamps online via her website or at Radiance at 26 Market Street, Hebden Bridge.